Peterson Toscano » Announcing A February Collaboration in Colorado with Joe Stevens. Announcing A February Collaboration in Colorado with Joe Stevens. I am thrilled to announce that in February I will perform along side of Joe Stevens, that amazing singer/songwriter who was the front man of Coyote Grace. Joe has launched out on his own doing solo shows. From February 8-16 we will tour together in Colorado–Denver, Boulder, Colorado Springs, more. I will attend the Creating Change Conference, then Joe and I will team up. He will sing and I will do, well, whatever it is that I do with comedy/storytelling/weird performance art. We will also get serious. Joe has had a rich gender journey that found him as a young person in an all girls school trying to come to grips with self until he came out male. I spent far too many years trying to fend off my gayness through gay reparative therapy. We will publicly muse over maleness, queerness, and the tensions that too often exist in the LGBTQ community between cis and trans folks. We are still booking venues, so if you are interested in taking advantage of this rare pairing, contact tour manager, Jane Brazell. Tour details will be announced in January. 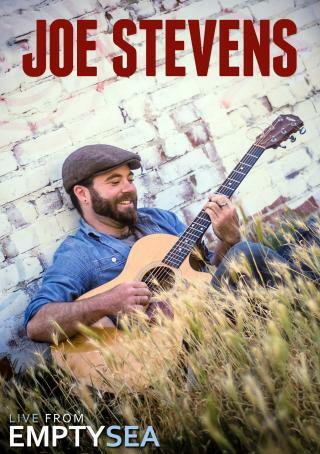 California-based singer/songwriter, guitar and banjoman, Joe Stevens is a third-generation professional musician in a long line of restless westward moving souls. From his roots as an awkward kid with a debilitating stutter, through dark years of alcohol and drug addiction, Joe’s music touches on themes at once specific and ubiquitous, portraying the human condition distilled — where one person’s story is truly everyone’s story. A prolific writer, the muse began whispering at the age of fifteen and Joe has produced some untold thousands of songs and essays in his 32 years. Joe is the main songwriter in the Alt-Americana groupCoyote Grace, who released five albums between 2006 and 2012 and toured with the Indigo Girls, Melissa Ferrick, and Girlyman; sharing stages with Chris Pureka, Greensky Bluegrass, Reverend Payton’s Big Damn Band, and legends such as Cris Williamson and Lowen and Navarro. Joe’s music rides the edge of the first wave of transgender performers to break through into the public consciousness. The social media explosion combined with shifting public opinion created the conditions that enabled trans and queer artists, a highly marginalized and often isolated subculture, to connect and gain visibility throughout the world. 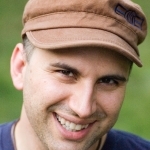 Joe performs and gives workshops on songwriting and queer/trans issues at colleges and universities and is a social justice activist for underdogs of all stripes, committed to honoring their vital contributions to the greater collective evolution. And listen to Joe SING! Such a rich voice with thoughtful, poetic lyrics put to soulful melodies.